Late last Summer and into this past Fall I spent some time after hours painting this Gondola (From Whistler) that now sits in front of the Burton Snowboards HQ in Burlington, VT. Sometimes I just don't get away from the computer enough so it felt good to get some paint markers and get my hands dirty. Most of the type and illustrations on the sides came from my sketchbook during a flight to Mt. Hood over the summer. 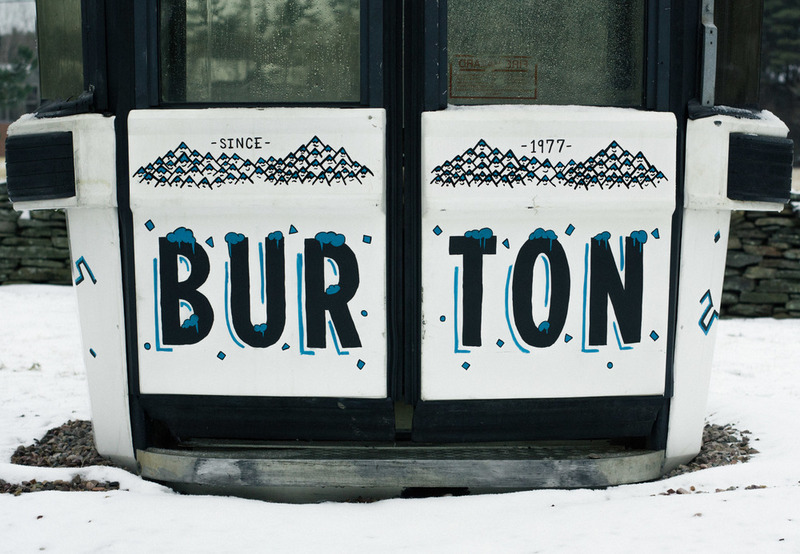 As for the BURTON on the front and back, well you just can't go wrong with some Icy Caps. Being that yesterday may very well be the last snowfall we see here in Burlington I snuck outside and got some shots of the gondola in its natural element.